We specialize in custom copper designs and copper works. Our craftsmen are trained by the prestigious Copper Development Program in Denver, Colorado to ensure the most innovative designs and the highest quality of work for every copper project. When properly designed and installed, a copper roof provides an economical, long-term roofing solution. Copper offers a character and durability that no other metal can match. Its appearance can complement any style of building. 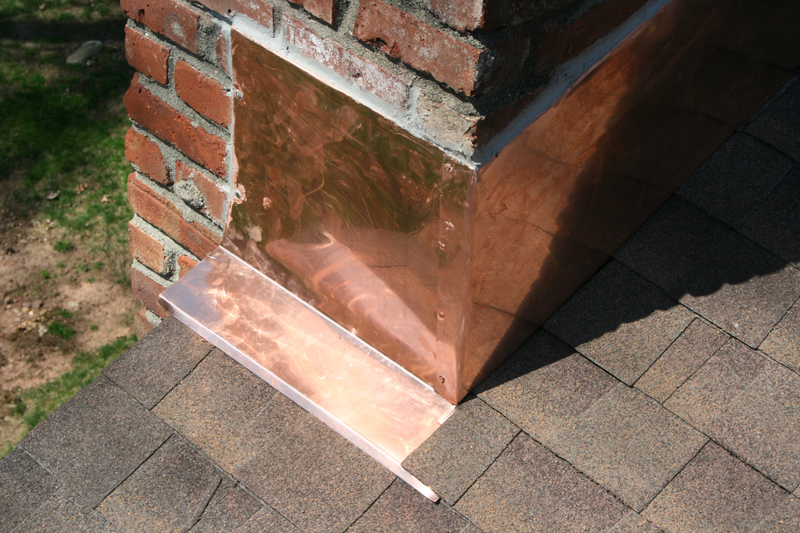 The use of copper is based upon traditional practices proven over many years. Its high-resistance to the elements ranks among the highest of all metals. 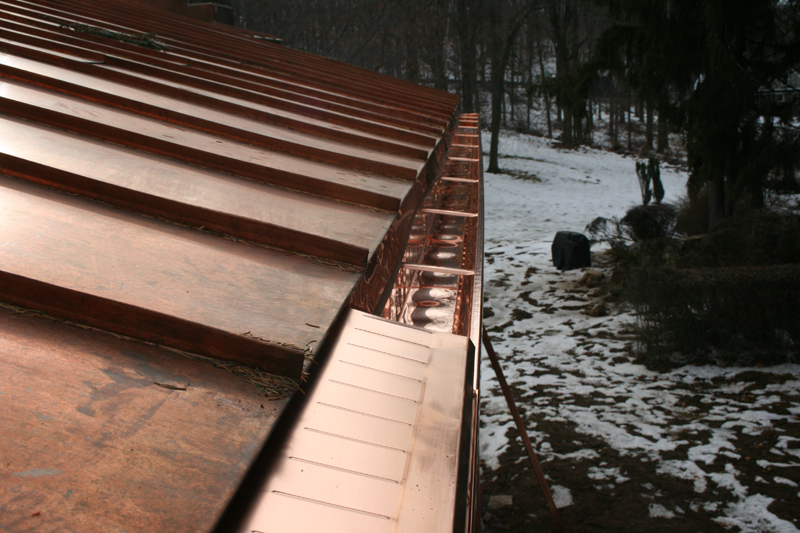 Copper roofing even has the ability to reduce cooling costs in New York and New Jersey, as sunlight is reflected away from the building rather than absorbed. 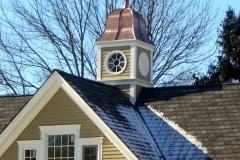 Copper roofing is said to be the preferred material for architects and homeowners. Its warmth and beauty make it one of the most elegant and attractive metal roofing options available. 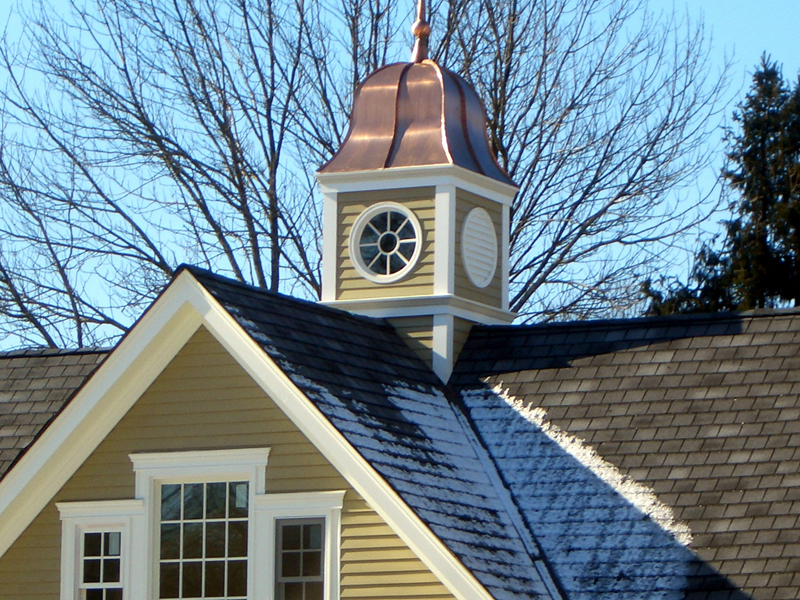 Unlike many other metal roofing materials, copper requires no painting or finishing to complete its look. 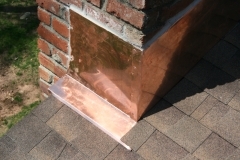 Copper is well-known for its ease of fabrication. It’s capable of being shaped to the required form and dimensions, making it the ideal metal roofing option for irregular or uneven structures. Soldering, brazing and welding are the most widely used processes for bonding copper metals. With natural weathering, the bright bronze color of copper will change into a blue-green patina over time. Patina will reveal its full design capabilities as it begins to age, providing your home with a traditional and elegant look. The oxidation process that gives copper its characteristic green patina is a result of exposure to an acidic atmosphere. The process is, therefore, faster in the metropolitan and industrial areas, where higher concentrations of pollutants exist. When acidic moisture comes in contact with exposed copper surfaces, it reacts with the copper to form copper sulfate. The acid is neutralized during the reaction with copper. The patina eventually covers the surface and adheres tightly to it, thus providing a protective layer against further weathering. Copper is classic. Today’s technology for working with copper is better than ever before. Copper’s future is as bright as its past. 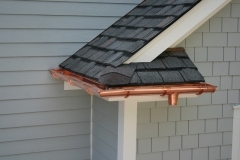 One of the best perks to a copper metal roof is that it doesn’t require any maintenance. No washing, no painting, and no major repairs are necessary. You don’t even have to replace a panel when it becomes dinged from stones or other hard objects. That just adds to the natural look of the copper panel. Some wrinkling and creasing adds to the charm of its texture… much like the changes in coloration and patina that come with age. You don’t have to worry about weathering, you welcome it! For more information on Westchester Copper Works, Rockland Copper Works, Putnam Copper Designs, Orange County Copper Designs, Bronx Copper Works or any of our Copper Works / Copper Metal Roofing Services within the Tri-State Area, please contact us or complete the form below for more information.